A two-part day, come for either, ... come for both. Sketch Pier 16 and the South Street Seaport. 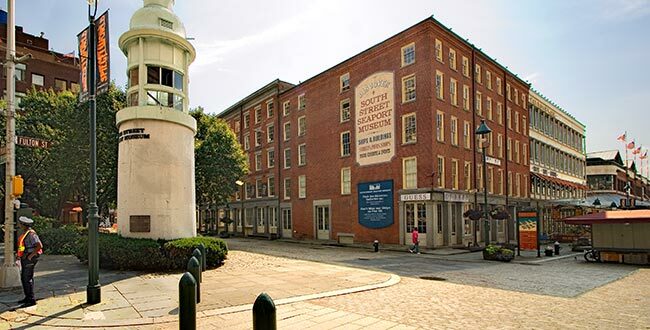 We will meet at 10 AM at the corner of Water and Fulton Streets at the Titanic Memorial Park (see photo). The first part of the day we'll sketch the walk from the Memorial down to the South Street Seaport. Every inch of the walk is sketchable! New York Urban Sketchers, South Street Seaport - May 4, 2013 from Lance Gambis on Vimeo. We'll be sketching on-board the 1885 sailing vessel, Pioneer, for Draw-Mania!,W'll have the opportunity to sketch during a two-hour Pioneer sail. 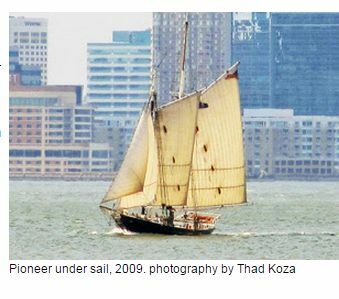 Subjects include: three live art models, the harbor, shoreline, other boats, Pioneer, and the crew as they sail Pioneer. Please bring your own materials, bearing in mind that there will be no space for easels. Pioneer will provide extra water, paper towel, a place to keep work till ashore, and once ashore, fixative for those who wish to use it. The vessel, first launched in 1885, was built as an iron-hulled sloop to carry cargo along the Delaware River and was even featured in an episode of "Boardwalk Empire." We will depart at 1:00 pm and return at 3:00. Pioneer is docked on the South side of Pier 16, (past the Peking) on the East River. Walk east on Fulton Street and cross South Street to arrive on Pier 16. You are welcome to bring a picnic lunch, afternoon snack or favorite beverage to enjoy while sketching under sail! SHOW and TELL: After the sail we'll go to the Watermark Bar, 78 South Street to share drawings, good stories and a beer or wine if you're so inclined. - Sleeping late? Come anyway for the first part. Text me if you can't find us. - Food? There's food all around the area. Bring your own or purchase something to eat before or during the sale.